ANOTHER squalid milestone in the Conservative Party’s journey Leftwards was reached on Wednesday when Sir Roger Scruton, the philosopher and conservative thinker, was sacked from his unpaid role advising the government on how to build better towns. Sir Roger had given an interview to the journalist George Eaton for the Left-wing New Statesman in which he said that Islamophobia was a propaganda word invented by the Muslim Brotherhood to paralyse discussion of Islamic affairs; that the Chinese communist party wished to make each of its citizens ‘a kind of replica of the next’; that ‘homosexuality is not normal’. He observed that the Budapest-born Jewish billionaire George Soros wields influence in Hungary and that Hungarians were not over the moon about large numbers of Muslim refugees heading their way. He also said that it was nonsense to say Viktor Orban, the prime minister of Hungary, is anti-Semitic. Sir Roger got his marching orders from James Brokenshire, the Secretary of State for Housing, Communities and Local Government. Number Ten said the comments were ‘deeply offensive, completely unacceptable and it’s right that he’s been dismissed’. Sir Roger has issued a rebuttal entitled ‘An apology for thinking’ which is worth reading, and the National Review has dissected Eaton’s elisions in reported speech. As soon I as heard about Sir Roger’s sacking and the reason for it I concluded that it was a set-up. Labour had demanded his dismissal last November for expressing the above opinions but they had not succeeded. I thought at the time it would not go away, particularly as the Tory Party has become as PC as Labour. Eaton was born in the mid-Eighties so he belongs to a generation rendered politically, culturally and historically more or less illiterate by the Leftist stranglehold on education. As Sir Roger says in the interview, that generation no longer understands how socialism led to the gulags. Moreover it does not understand the principles of the civilisation which formed it, freedom of speech being one. Fanatical political correctness is its lingua franca. Nuance, subtlety, irony and the civilised notion of agreeing to disagree have all been dispensed with in the righteous clamour of the babbling flock. Is calling a large multinational operation that happens to be owned by a Jew an ‘empire’ really an ‘anti-Semitic trope’? I do not think so. Is it really racist to point out that the Chinese communist party desires conformity in its citizens? Of course not. Then there is the outrage over Sir Roger saying Mr Orban is not anti-Semitic. Mr Orban, who has resisted Muslim immigration into his country and has clashed with Brussels, is the ‘fascist’ bogeyman of the metropolitan Left, yet in an interview with The Times in April last year, Robert Frolich, Hungary’s chief rabbi, said he had asked to see Orban after becoming concerned about what he felt was campaign material that could be construed as anti-Semitic. Rabbi Frolich said of his meeting: ‘He was kind and I believed he was not an anti-Semite.’ I will take the opinion of Chief Rabbi Frolich over a young ‘social justice warrior’ in North London with a politics and history degree from a British university. You will notice the Left-wing media do not visit these hatchet jobs on the Conservative party top brass. That is because the Left in Britain know they have the Tories sewn up as a sort of B team while Labour are not in office. But real conservatives bother them, especially those who are prepared to speak openly. Look at how the news of Sir Roger’s dismissal was greeted by some Tory MPs. Shamefully, Tom Tugendhat and Johnny Mercer had piled in and demanded Sir Roger’s sacking. Mr Tugendhat later calmed down and said that he was misled by inaccurate journalism. He has now resumed his distinctly Blairite crusade of demanding Britain apologises for the Amritsar Massacre in 1919. Is that an urgent priority in a country locked in the intractable crisis of Brexit? Mr Mercer, who is of the same generation as Eaton, initially said that sacking Sir Roger was a ‘no brainer. Let’s not take our time on this’. Later he changed tack as Mr Tugendhat had done, saying that he and Sir Roger’s opinions differed and it was ‘OK to differ’. What was that about a ‘no brainer’? Despite admitting their error, neither man has called for Sir Roger’s reinstatement to his voluntary position. Mr Mercer’s comments gained a further depth of irony on Thursday when he complained on Twitter that the Conservative Party whips’ office had been sniffing around his old Army comrades in an attempt to ‘dig up dirt’ on his career. Whips are said to collect compromising information on MPs to use as leverage for voting discipline. Mr Mercer said: ‘Contrast the values and ethos of [the Army] vs Parliament, and you’ll start to find answers of how we got the UK politically into such a mess. Values, integrity, ethos – never been more important, or more scarce.’ What was that about values and integrity? Do Conservative MPs still value basic freedoms? The Tory party needs to die. It has sold out virtually everything it purported to stand by, and now spends its time with look-at-me gestures designed to chase ethnic minority votes but which also legitimise cultural Marxism. 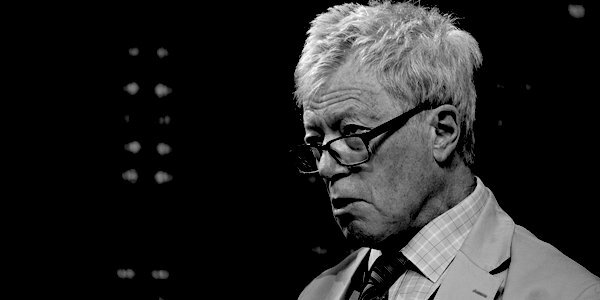 The Scruton affair is a textbook example of the Left bending language and meaning to smear someone it fears. It must pain Sir Roger that after helping in the fight against communism in Eastern Europe in the early Eighties – which is how he knows Orban – he finds the spectre of totalitarianism growing in his own land. I do not think that is an exaggeration. It is always later than you think, and the Left have gained much ground here. Sir Roger has been a heretic before and has been proved right before. In 1984, when he was editor of the Salisbury Review, he published an article by Ray Honeyford, a headmaster from Bradford, which criticised the doctrine of multiculturalism. The Left kicked up a huge stink, Honeyford was suspended and in effect forced out of his job. Thirty years later there is a consensus that multiculturalism has been a disastrous failure. Even the former chairman of the Equality and Human Rights Commission thinks so. These are troubled days for freedom. The Left is engaged in a never-ending war to control language and, therefore, thought. The Conservative Party is actively collaborating in that war, which is why all conservatives must desert it. Robert James is a national newspaper journalist.